James Lewis picks a Winner for Pollyanna! 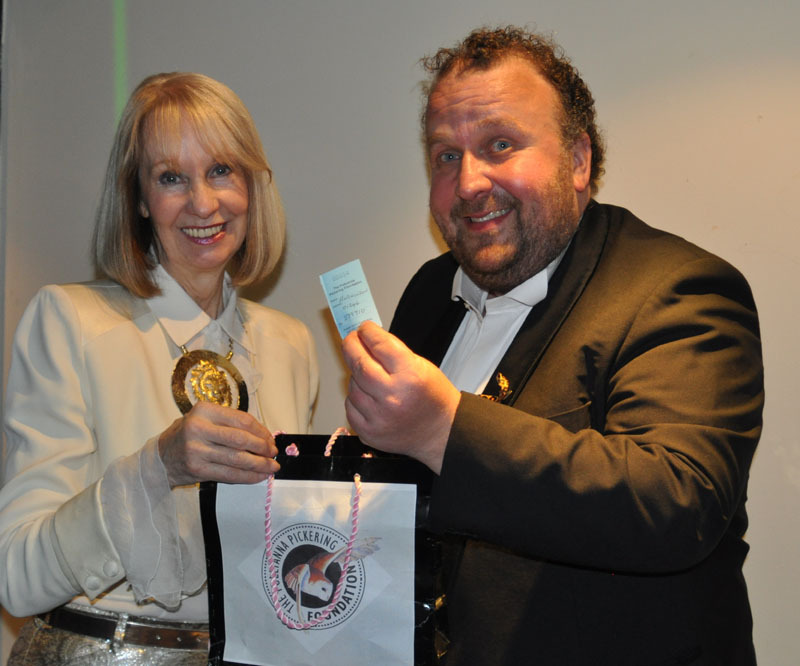 The winning ticket in the Pollyanna Pickering Foundation 2015 Prize draw has been drawn by celebrity TV auctioneer James Lewis. The lucky winner, Sue Allen of Stafford has won a painting of a Tiger. James is without doubt one of the most recognised faces in the international antiques world. He is regularly seen as an expert on BBC shows including The Antiques Road Trip and Bargain Hunt. However James is also a great animal lover – who originally considered training to be a vet! Along with Pollyanna he acts as a patron of the Born Free Foundation. Pollyanna was delighted that James was willing to spare time from his very busy schedule to help her select the winners in the prize draw organised by her charitable foundation.